Chandlers Used Fendt Tractors aims to provide you a quick, simple and efficient method of purchase for all your Used Fendt Tractor needs. Chandlers are main Fendt dealers in Lincolnshire, UK (established in 1935), and have been supplying Fendt tractors since the purchase of Fendt in 1997 by the parent company AGCO. Chandlers Fendt tractors have the first hand knowledge of the full range of Fendt Tractors supplied throughout the last 15 years, with skilled and experienced factory trained engineers to thoroughly prepare your used Fendt Tractor. Chandlers Used Fendt Tractors have a dedicated 7 days a week sales team, including a Fendt sales product specialist, and aim to respond to your enquiry promptly and efficiently, whether by email or phone. The Chandlers Used Fendt Tractors sales team, will have first-hand knowledge of the tractors we have for sale, and their previous ownership history (including our own full dealer service history for the majority of tractors). 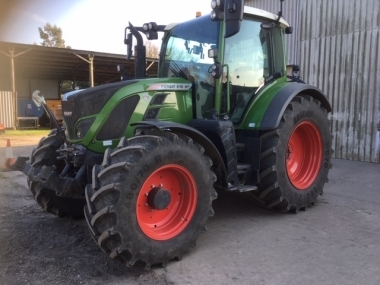 All the tractors listed for sale on the Chandlers Used Fendt Tractors website are owned by Chandlers (Farm Equipment) Ltd.
We aim to have a Used Fendt Tractor for every budget and hp (horse power) requirement, from pre-reg, ex. demo and ex. hire - nearly new - tractors, from the current range of Fendt tractors, the Fendt 500, Fendt 700, Fendt 800 and Fendt 900 SCR models of tractors. We also have in stock a wide range of the non-current models of Fendt tractors from previous ranges, including the Fendt 400 Vario TMS, Fendt 700 Vario TMS, Fendt 800 Vario TMS, and the Fendt 900 Vario TMS. Many of these tractors will have been supplied new by Chandlers Fendt Tractors to their previous owner, 5, 10 or more years ago ! Chandlers Used Fendt Tractors are specialists in the retail of used Fendt, whether locally in the UK, or for export into Europe, or the rest of the world. 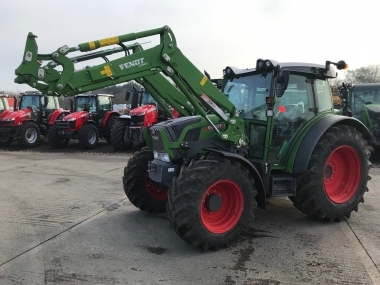 For overseas buyers, looking to purchase a good used Fendt tractor, who would like to view the tractors we have for sale in person, we can arrange transport from one of our local airports (Nottingham East Midlands, London Luton, or Doncaster Sheffield Airport). When a purchase has been made, Chandlers Used Fendt Tractors will require payment in full prior to despatch, transport to a local UK dock can be arranged as part of the purchase, or we can load your transport haulier from our all weather professional dispatch depots, including flat bed, and curtain side lorries from our loading ramps. 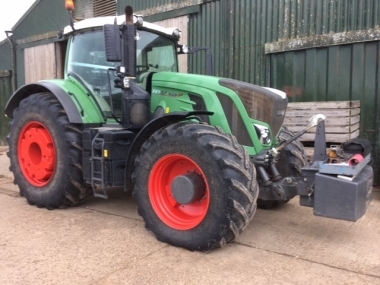 All specifications and details about the Chandlers Used Fendt tractor stock displayed on this retail website is done so in good faith and to the very best of our ability. Errors, omissions and exclusions may very rarely occur from time to time, with the very wide range of features available on used Fendt tractors. We reserve the right to update and change the advertised features as applicable, and cannot be held responsible for any consequences of this. Prices shown on the website for the used Fendt tractors in foreign currencies (Euro €, and Dollar $ etc. 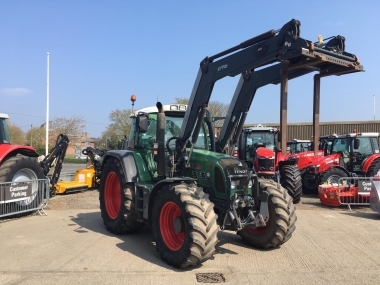 ), are done so as a guide only, all transactions for the purchase of a used Fendt tractor from Chandlers must be done in GBP £ Sterling, and currency conversion will be the responsibility of the buyer. If you would like to come to view a Chandlers Used Fendt tractor, we recommend that to avoid disapointment you contact us prior to your visit, with your requirements, in order that we can ensure that the tractors of interest are at their advertised locations; being busy Fendt dealers, our used tractor stock is constantly changing, and our sales team is often out and about visiting customers.